Publisher: Ruth Nyaboe February 21, 2016 This information is provided solely as a guideline. Nutritional Supplements that Help Manage Menopause. The change of life is a gradual process allowing the body to get used to the changes and adapt accordingly. However, menopause still causes many issues to midlife women. Symptoms can vary, but some of our supplements may be beneficial at this time. All women need to be as healthy as possible and aim at optimum nutrition so that this important event can be managed with ease. 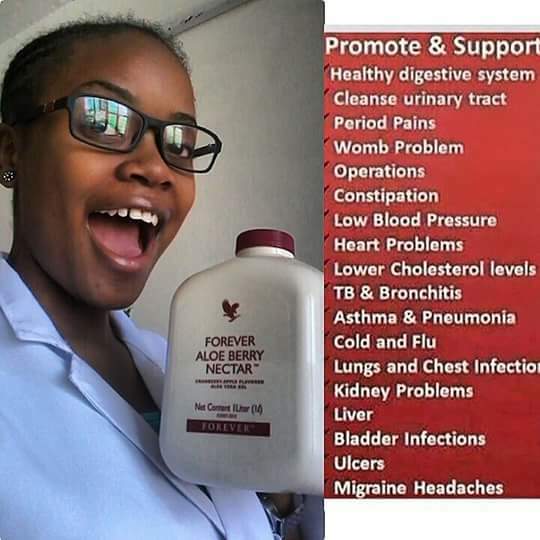 You will find all the benefits of the Aloe Vera Gel – helping the digestive system and the immune system, plus the added benefits of cranberry and apple. These fruits help cleanse the urinary tract and are also good sources for antioxidants that are beneficial to the skin. Specifically designed with women’s needs in mind. It contains proprietary botanical blend that helps promote hormone balance. Through a patented technology, the nutrients are absorbed through a time-released mechanism for better results. Royal jelly is the exclusive food of the queen bee throughout her highly productive life. It boosts energy, supports our immune system, benefits the hair & skin, and helps reduce the effects of aging. Contains vitamins A, C, D, E and B-complex vitamins. This supplement combines vitamin A and E and helps maintain a healthy circulatory system, respiratory, urinary, and intestinal tracts, skin, hair, vision, bone growth, reproduction and cell division. The use of beta-carotene makes the risk of Vitamin A overdose extremely low. Microbes are microorganisms that exist in our bodies. Those that are beneficial to our health are called “probiotic”. This product contains 6 strains of probiotic. Together, they promote a healthy digestive system, nutrient absorption and immune function. Maca is an annual plant that is cultivated in the Peruvian central highlands. It has been used for thousands of years by women there to help maintain their stamina and handle stress. It may also help extending the years in which women remain fertile and productive. Due to the inclusion of vitamin D and magnesium, Forever Calcium® is easy to absorb. Calcium is a critical element for the growth & maintenance of bones & teeth. Therefore, it is an important nutritional supplement to children, teenagers and menopausal women.